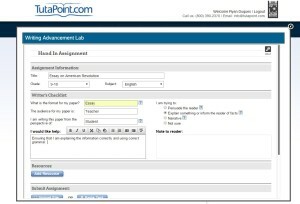 TutaPoint Education, a leader in providing online education services announced today that it will begin supporting writing skills development of middle and high school students using its Lab for Writing Advancement. TutaPoint’s lab is powered by TutoringKEY™, a web application integrated fully into the student experience at TutaPoint. The lab enhances the instructional feedback tutors give their students and provides for measurement, tracking and reporting to a student’s school, parents and future tutors. Student access to the service takes less than three minutes and is as simple as clicking an ‘upload button’, answering a few questions about their writing assignment and pressing submit. Writing instructors use their training and experience to respond to the students writing and a full response is returned to the student in an easy to understand document. Analytics, historical measurement and tracking of the student’s writing proficiency is recorded and available to the student, parents, teachers and the school district. TutoringKEY™ is based on the latest academic research available on how to respond to student writers, not just how to best edit writing. This approach to writing development supports proven instructional practices such as aligned feedback, comments supported by instructional content, and reflection. The response tools also include voice comments and “question the writer” features. Tutors who use TutoringKEY™ provide their students more comprehensive and useful feedback because they are better able to target specific objectives for improvement and are more focused in their comments. The concise and the consistency of the feedback help students to better understand the feedback and revise their writing with more confidence. In addition to the feedback report, students will also have the option to receive a live instructional session with their writing tutor to review their piece and discuss improvements. Live sessions occur in TutaPoint’s online classroom, which has been rated #1 in the industry for its features, including video, audio and extensive whiteboard tools. 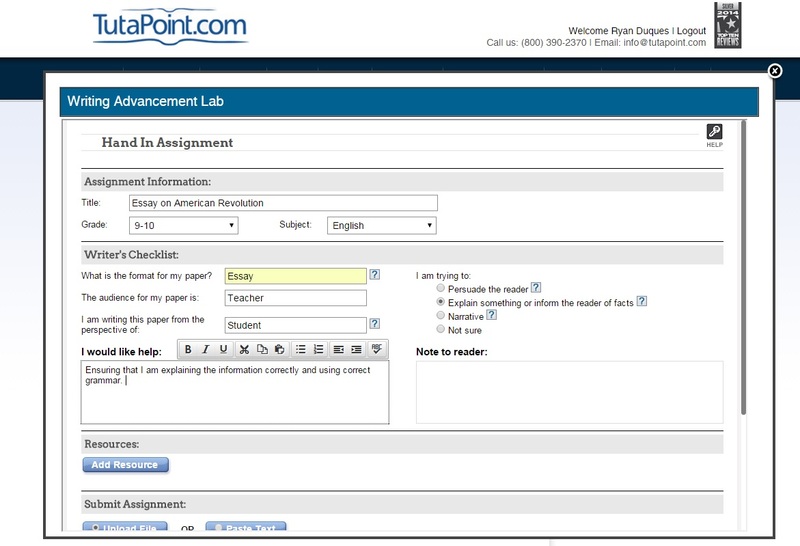 TutaPoint, LLC is a privately owned, award-winning online tutoring and education provider based in New York, NY. TutoringKEY™ is published by Keys2Engage, LLC of Ridgefield, Connecticut.